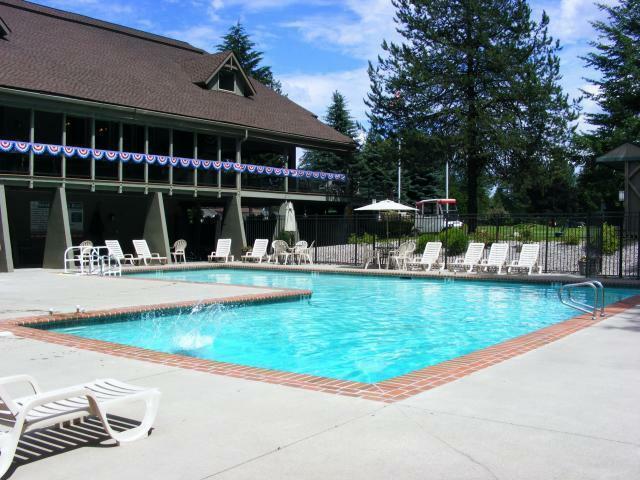 Twin Lakes Village is a golf community that sits on the shoreline of beautiful Twin Lakes. In addition to unlimited golf, residents have shared access to a beach and docks at the lakefront. The neighborhood is designed to support 375 homes. There are is a mixture of custom homes, townhouses, duplexes and condominiums. There are a few vacant lots still available. The 18-hole golf course features well-groomed fairways, fountains, and greens adjacent to Lower Twin Lake. 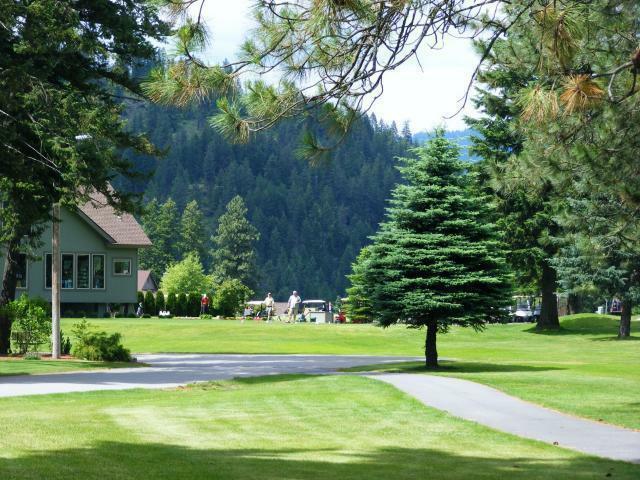 White sand bunkers and water hazards, set amidst towering fir and pine trees, provide the perfect golf challenge. Course amenities include a practice range, putting and chipping practice greens, a practice bunker, and a full-service pro shop with golf carts, pull carts, and club rentals available. Dues cover maintenance of the roads, golf club, clubhouse and pool, and common areas including tennis courts, pickle ball courts, barbecue area, horseshoe pits, and playground. Condominium owners have additional HOA dues that covers water, sewer and maintenance costs of their units. When you buy a home here, you become an owner of both the golf course and the amenities. Owners are all part of a non-profit corporation where all dividends go back into the development. The golf course is semi-private. Homeowners have unlimited access to the golf course for anyone listed on the deed and their dependants. The public is welcome to play for a fee. Those fees help offset maintenance costs and lower dues for the members. There's a wide range of activities in Twin Lakes Village. There are golf leagues ranging from just for fun "giggle" golf leagues all the way to competitive leagues. The PGA pros on staff teach a wide variety of classes, from beginner to "get ready" to advanced. There are 24 boat slips available for lease - and there is usually a waiting list. Residents also enjoy fishing and kayaking in the summer, and ice-fishing in the winter. The paths are perfect for snowshoeing or cross-country skiing in the winter and hiking and biking the rest of the year. There's a full service bar and restaurant which is a focal point for many of the activities. Residents drive their golf carts within the boundaries of the community. The speed limit is 20 mph, so they also feel safe biking or walking on those same roads. And a short ride on the bike path will take you to the hundreds of miles of trails on Rathdrum Mountain. 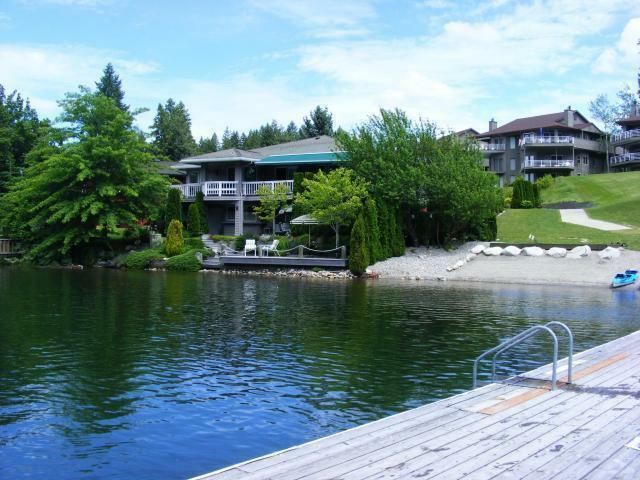 The residents are a mix of everything from families and retired snowbirds to Canadians buying summer and vacation homes. The neighborhood is attracting more young working people, with both Spokane and Coeur d'Alene a half-hour drive away. Residents can choose between excellent, high ranking Lakeland and Timberlake schools. Twin Lakes Villages is in the Lakeland School District so parents will need to provide transportation if Lakeland is chosen. Twin Lakes Elementary School is walking distance.